The San Luis Obispo Blues Society presents the Terry Hanck Band on Saturday, October 31 at 8:00 pm at the SLO Vets Hall (801 Grand Avenue). Deep Blue will be opening the show. 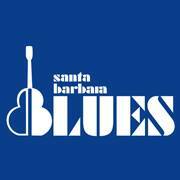 Tickets are $20 for Blues Society members and $25 for the general public. Tickets are sold at the door, and may also be purchased at Boo Boo Records and Cheap Thrills in San Luis Obispo. SLO Dance offers free dance lessons at 7:30pm. 21 and over please. It is our Halloween show, so wear a costume to celebrate. There will be a costume contest with prizes such as blues CDs, show passes, and Blues Society clothing. The Blues Society runs primarily on volunteers to produce and staff our concerts. At the shows, volunteers set up, sell tickets and drinks, or clean up after the show. Volunteers get free admission to the show and two drink tickets. If you have extra time and energy to contribute, please call our volunteer line (805) 541-7930 and we will contact you. 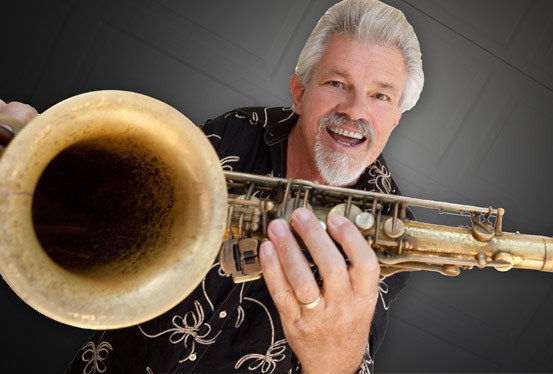 Terry Hanck delivers a wide array of blues through his tenor sax and impressive vocal range. The best blues music is influenced by the time and place it comes from, and on a typical night, Terry Hanck will travel from the Gulf Coast to the south side of Chicago, spanning over a half century of the blues, as he rolls 1950’s swing, 1960’s R&B, 1970’s soul, and 1980’s southern blues rock into a 2015 dance party mix. The son of a bandleader, Terry Hanck was born in Chicago and raised on the homegrown blues, soul, and jazz of performers such as B.B. King, Ray Charles, and Junior Walker. In 1965, Hanck moved to California and started playing the saxophone to finance a surfing addiction. By the 1970s, he was touring with Elvin Bishop. “Terry Hanck is a fine vocalist, an amazing showman, and my favorite sax player,” says Bishop. In the early 1990s, Terry Hanck started touring under his own name. Hanck was nominated in 2009 for a Blues Music Award, partially based on the appeal of the release Always (Vizztone, 2008), which showcases Hanck’s songwriting ability, instrumental mastery, and general good humor on tunes such as “Deep Fried Twinkies.” His most recent album Gotta Bring It On Home To You (Delta Groove, 2014) is a tribute to the soul rockin’ blues of the 1950s & 60s. He received a Blues Music Award for best instrumentalist / horn in 2012.